Custom flags are great for Grand Openings! 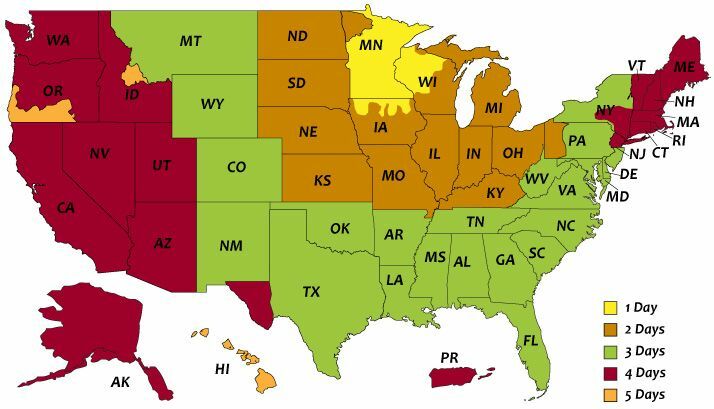 Use flags to advertise Now Open dates and times, sales, and special events at your new store. Fabric flags can be used indoors or outdoors and can be custom sized and finished for multiple hanging options. Finishing options include hems and grommets or pole pockets, so however you'd like to display your flag Banners.com has you covered! Also check out our Now Open Vinyl Banners, Mesh Banners, and Yard Signs for more outdoor signage options. Our main type of fabric flag has a left header and grommets, so it can easily be displayed from a flag pole outdoors. We also have Razor Flags, Tear Drop Flags, and Rectangle Flags. We have a variety of different sizes available. Click on the images below for more information. If you're looking for custom flag options that are different from a standard flag, check out our unique flying banner displays. You can use any custom design on these flags, just contact one of our customer service representatives to get started on your order. 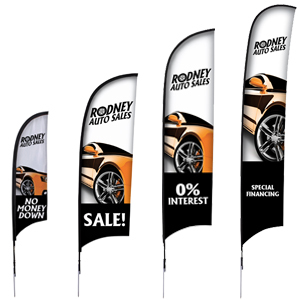 Bowed flags are made out mirror fabric, the lightest weight fabric that we offer. All flags are printed using a direct dye sublimation printing process, meaning the ink goes through the fabric rather than sit on top of it. This creates an eye popping display.